Desalination plant. 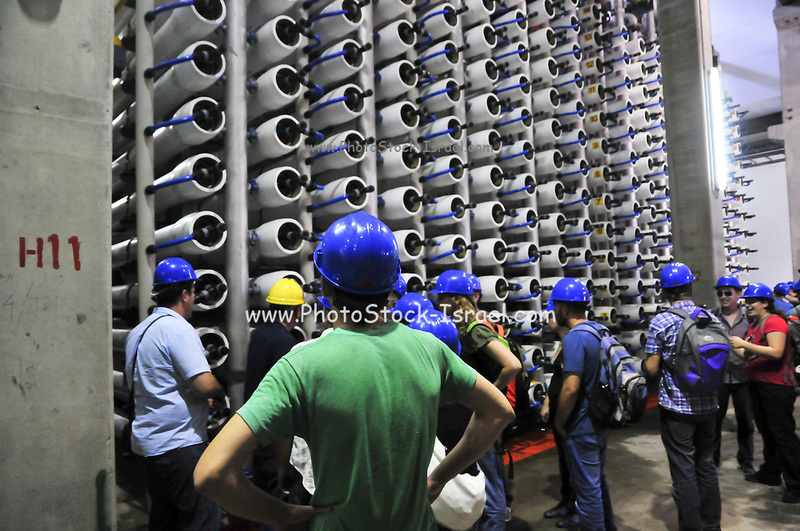 Visitors stand next to a bank of Reverse Osmosis membrane filters. This facility turns salt water into drinking water using the Reverse Osmosis Process and will produce 127 million cubic metres of fresh water each year. Photographed in Hadera, Israel.